MidTown East Physical Therapy (Brooklyn) - Book Appointment Online! 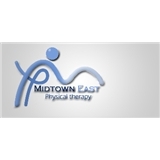 Why Choose MidTown East Physical Therapy Our Approach At Midtown East Physical Therapy our philosophy of care focuses on establishing an accurate diagnosis of the source of pain/symptoms. Once we have established a cause effect relationship we begin with professional manual alignment in addition with teaching patients self alignment techniques to become proficient in reducing or symptoms as needed throughout their day. Each patient receives a rehabilitation program customized to meet their individual needs. We don't just treat the symptoms, we find the cause. Hands on Manual Therapy Physical Therapists at Midtown East have over 13 years of experience in performing extensive hands-on manual therapy evaluation and treatment. Manual therapy is the most effective technique a physical therapist can utilize to diagnose and treat areas of dysfunction such as tight muscles and stiff joints. Many other facilities do not follow this philosophy of care performing little or no hands-on manual therapy. Personally supervised exercise programs While our bodies' structures are generally similar, each person possesses a unique set of individually developed body characteristics in terms of its posture, muscle tone and flexibility. We tailor your treatment program based on your individual traits while addressing your personal needs and goals. Our objectives are to diagnose your condition, assess your strengths and limitations, and put together an effective exercise program under the supervision of your clinician to reach your goals as soon as it is practicable. Time is on YOUR side Our physical therapists are trained by the pioneers of manual medicine and treat you with the latest in osteopathic and manipulative techniques. Spending one-on-one time with you to work toward successful results. He is super nice, supportive and knowledgeable! Dmitry is the best!! I had serious neck surgery where a vertebrae was removed, a metal plate inserted, and fused together. My recovery was long and painful. After several months I was able to go for physical therapy and that's when I met Dmitry. At this point, my range of motion was very little and Dmitry assured me he would get my neck back to where it was before surgery, and he did!! After several visits my neck was moving and I had significantally less pain. His gentle approach and manipulation technique work like no other. I highly recommended him to several friends and family members who he had also helped tremendously. Dmitry is not just an ordinary physical therapist, but a doctor of physical therapy which makes all the difference in the world!